The Beaver County Building Trades is in the middle of a boom in work and needed a way to better promote themselves to both potential employers, as well as potential employees. A new logo, website and various print materials were needed. Pacer started by creating a logo that quickly spoke about what the group does. Once colors were selected and the logo was finalized, a modern, responsive website was designed and coded. Pacer also delivered hard hat decals, banners, envelopes and business cards. 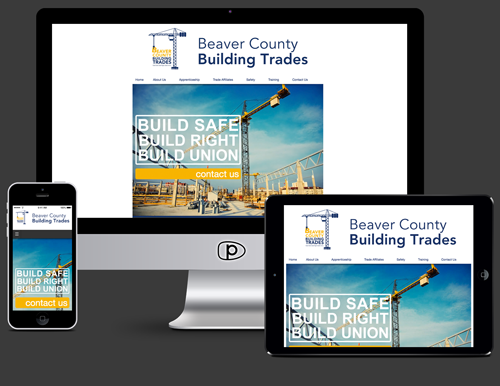 Beaver County building Trades has been able to improve their image and build their brand.